21st October 1931 rose a hero called Shamsher Prithvi Raj Kapoor whom we fondly know as Shammi Kapoor… A leading actor and Director he shone to glory and sky was the limit. The Legend called Shammi Kapoor gave us so many outstanding movies and brought a huge change in the existing pattern of cinema in his days. His strong screen presence is still not matched by any… the one who revolutionized the existing image of the hindi film hero in those days. 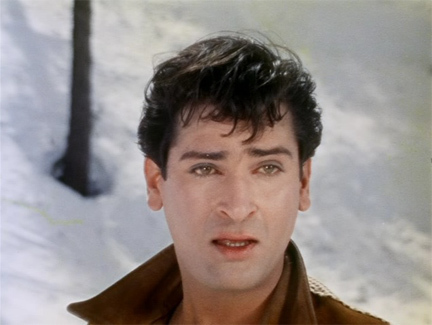 Shammi Kapoor was the second son of Prithvi Raj Kapoor (who himself was a legend– One day I shall write on him too) … Born in a family of great actors and loads of talent did manage to create a niche for himself. He had to lead a tradition of “The Kapoor’s”… the audience had major expectations being sibling of Raj Kapoor … which he did fulfill. As he joined the Prithvi theatres in 1948 – he never looked back… Bollywood engulfed him in 1953 and since then he flew the flight of the eagle… Gave us a lot of movies I still love watching and a few foot tapping numbers which force you to stand up and dance… through enjoyment… Full time paisa vasool is what I call his movies…!!! I read this somewhere once and I can swear it fits aptly for Shammi Kapoor’s eyes —- “As burning as ice as beautiful as desire”. How an icy green blue colour can be so fiery I don’t know. But it was. 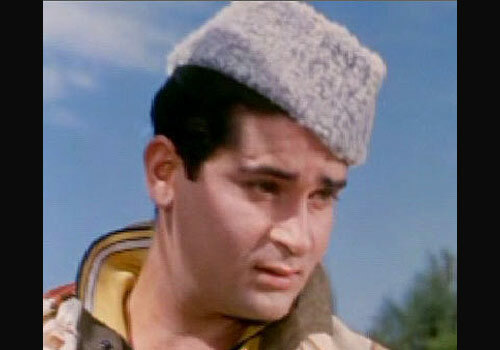 Shammi Kapoor has been known for his lunatic moves and mad crazy energy. When you talk Shammi you think of Yahoooo, sukku sukku, o haseena zulfon walee, aaja aaja main hun pyaar tera and other such mad cap numbers. I grew up in the 80s (born ’73) as a big Shammi fan. I was ridiculed and made fun of by my peers who could not relate to this blast from the past. So many years later I look at him and I think what I like most about him is his eyes. Twinkling when naughty and haunting when sombre, he could look into his girl’s eyes and melt any ice maiden. Tumne mujhe dekha hoke meherbaan, jhuk gayee ye zameen, tham gayaa meherbaan fromTeesri Manzil. Ehsaan tera hoga mujhpar dil chahta hai jo kehne do, mujhe tumse mohabbat ho gayee hai, mujhe palkon ki chhaon mein rehne do from Junglee. 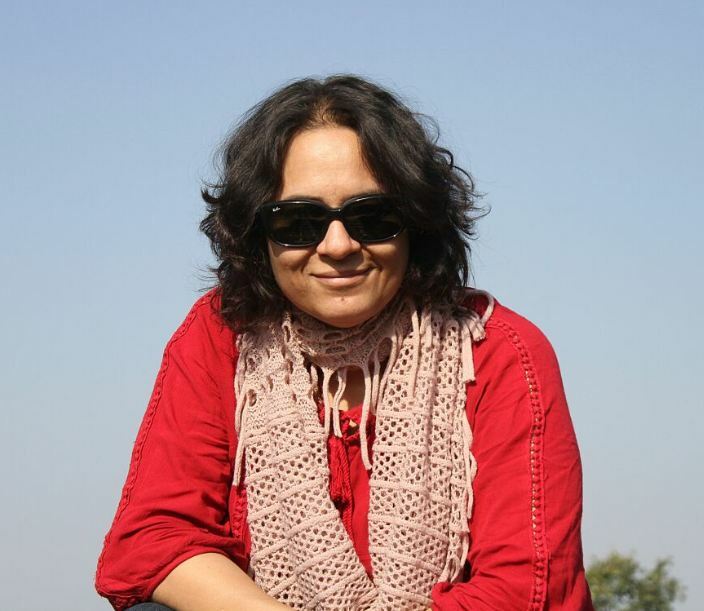 Tumne kisiki jaan ko jaate hue dekha hai, who dekho mujhse rooth ke meri jaan ja rahee hai…. Truly, he could steal a heart just by looking into the persons eyes. If you want to experience ice that burns then you only need to pick up his movies. Some people do live forever… And he is one of them. This entry was posted in Bollywood, Entertainment, Movies, Music, Occasion and tagged bollywood, Junglee, Prithvi Theatres, Prithviraj Kapoor, Rupali Gupta, Shammi Kapoor, Teesri Manzil. Bookmark the permalink. Yes… Neeraj these are the words used by Hrithik Roshan…. and I so loved them that I had to add to my post… Thanks.